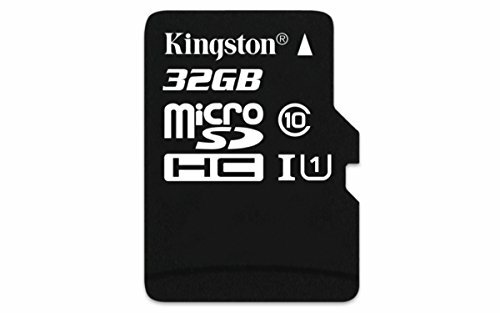 Kingston's Industrial Temperature microSD UHS-I has an operating temperature rating of -40 DegreeC to 85 DegreeC, making it suitable for harsh environments. Its high operating temperature rating means it stands up to extreme heat in the desert and in test and measurement situations where standard microSD cards may fail, while its low operating temperature rating allows for use in below freezing weather, where equipment may be left outside for extended periods of time. Its high insertion rating is ideal for applications in which the card will be frequently accessed and removed from host devices, and its MLC NAND allows for large amounts of data to be written to the card. Kingston tests these cards extensively during pre-production and new build qualifications. Cards must pass thermal cycle testing, with interval testing at various extreme temperatures; vigorous temperature humidity bias, comprised of several hundred hours of testing to ensure durability at different humidity levels; and wide temp chamber testing. In addition, these cards are tested to be waterproof (EC/EN 60529 IPX7 certified for protection against continual water submersion up to 30 min. and depth up to 1m), temperature proof (from -40 DegreeC to 85 DegreeC), shock/vibration proof (Based on MIL-STD-883H, METHOD 2002.5 military standard test method), and X-ray proof (ISO 7816-1 certified for protection against 0.1 Gy of X-ray radiation to both sides of card). So you can rest assured your photos, videos and other important files will be protected. Industrial-grade features - The card's operating temperature rating of -40 DegreeC to 85 DegreeC makes it perfect for harsh environments. For durability, it's rated for 10,000 minimum insertions. Tested for industrial applications - Kingston uses wide and broad temperature testing so you can feel secure using the card in industrial applications. UHS-I interface - Its UHS-I interface offers users higher sustained write speeds to ensure data integrity by reducing transmission stutter. MLC NAND - MLC NAND allows for large amounts of data to be written to the card.